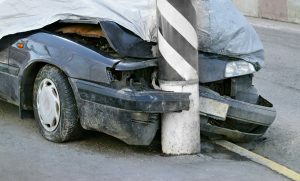 Tips for Documenting Your Injuries After a Car Accident | Craven, Hoover, & Blazek P.C. Whether a motor vehicle accident is minor or major, it is common for victims to be unclear about what to do next. Immediate medical attention should always be the top priority after being involved in a car crash; however, many victims are unaware that there are certain steps they can take on their own, which may improve their chances at recovering a full and fair amount of compensation for their damages and losses. Aside from medical treatment, evidentiary documentation is a very critical part of a legal claim. Having such evidence is an advantage since memories can dissipate and statements can be aggressively questioned and probed later on. There are various forms of documentation that are recommended for car accident victims, including video recording, photography and witness statements. All of these will help support your case after being injured in a car accident. These days, almost everyone has video and photography settings built in to their smart phones. If you have a camera on your phone or mobile device, use it to take as many pictures and video recordings of the scene of the accident as you can. You never know which image may reveal some fragment of evidence that is critical to your claim. Include video and photos of the vehicles, vehicular damage, the street, nearby intersections and stop lights, crossways, walkways, street lamps, pavement, sky, and more. Also be sure to get video and pictures of your injuries, from immediately after the accident, all the way through the treatment and recovery process. These images will be quite substantial to your legal claim. If there were people around who witnessed the accident take place, it is wise to get their personal statements on record. Be sure to collect names, contact information, and a detailed statement from each possible witness. Witnesses can be other drivers, pedestrians, store clerks, onlookers, and anyone else that happened to see the accident happen. After a car accident, victims who require emergency transport to a hospital for their injuries are not expected nor capable of collecting all of this documentation. If you are unable to gather such pieces of evidence on your own following a car crash, a friend, family member, or law enforcement official can remain behind and manage it for you. You alone cannot be expected to implement the level of effort needed to successfully recover a full and fair settlement from your legal claim. You need a seasoned Indianapolis car accident lawyer who can document a strong and impactful case on your behalf, and navigate all aspects of the claim from start to finish. They are your best chance at recovering the full amount of compensation you deserve for your injuries and losses. 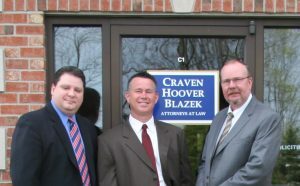 Call The Law Office of Craven, Hoover, & Blazek P.C. at 317-881-2700 to make a car accident claim in Indianapolis, Indiana and throughout Indiana. Our seasoned car accident lawyers are ready, willing and able to recover the full and fair compensation you deserve. Not only do we offer free consultations, we never collect lawyer fees unless we recover a settlement for you. This entry was posted in Car Accident Lawsuits and tagged car accident attorney Indianapolis, car accident documentation tips, car accident evidence, car accident lawyers Indianapolis, car accident victim tips, what to do after a car accident. Bookmark the permalink.